Brazil has a long-standing and deep relationship with Japan, having established diplomatic relations over more than 120 years ago and a very large community consisting of more than 1.5 million Japanese descendants. Brazil has also long been highly regarded by Japanese companies as a rich source of natural resources such as energy and food, as well as being a huge market with a large population and hub for North American businesses. Although challenges remain, including political stability and public security issues, and its recent economic performance has been below expectations, increases in economic growth and market liberalization are expected in the medium- to long-term, and it is anticipated that the region will draw more interest from Japanese companies, causing more of them to enter Latin American markets, or expand their business there. We, along with our Latin America Practice Team, have long supported business activities in Brazil by Japanese companies. We have strong relationships with major leading firms in Brazil, some of which are supported by personnel exchanges and secondments. We also participate in world-wide networks of law firms such as Lex Mundi, in which we are particularly active, and have built close relationships with member firms in Brazil. In addition, we are intent on gathering information on Brazilian legal practice, taking advantage of our intelligence collection know-how and abovementioned relationships. 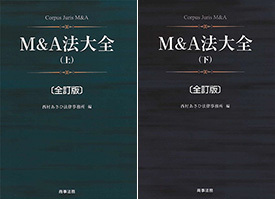 Our lawyers who have experience working for Brazilian firms, and other Latin America Practice Team members with strong connections with domestic and overseas professionals, are well-placed to support Japanese companies acting in Latin America. Further, we regularly provide our Japanese clients with information regarding Brazilian legal practice through articles in legal periodicals and our newsletters.